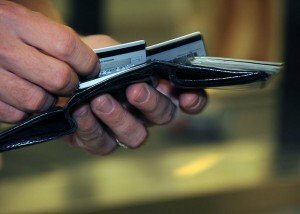 Many of us use credit cards because they are convenient. You can buy what you want now, and pay later. Credit cards come with fraud protection, and they are easy to carry around. You can even use them internationally, and they make helpful additions to your cash flow management. Your credit card issuer doesn’t want you to pay off your balance each month. If you pay off your balance, you aren’t charged interest. Credit card issuers make a great deal of money from interest payments by those who carry balances. If you continue to carry a balance, you continue to pay interest. You aren’t receiving anything in return, and the credit card issuer doesn’t have to do anything beyond send you monthly statements. When you carry a balance for three months, making large enough payments to discharge your debt in a timely manner, the credit card issuer does enjoy some interest income. However, nothing beats a credit card customer who carries a balance for years, paying only the minimum. In some cases, especially if the credit card comes with a high interest rate, your paying the minimum balance means that most of your payment goes to interest, and not to reducing the principal. You can spend more than a decade paying off a credit card when you only pay the minimum — and pay three or four times what you actually borrowed. Credit card issuers love it when you have less than perfect credit when you apply. If your credit is at the low end of “good”, or if it is “fair”, the credit card issuer can charge you higher interest. Those who have “bad” credit can be charged even higher interest rates. But if you have “fair” credit, you’re really in a sweet spot. You aren’t a great risk of default, but your credit score is low enough that the issuer is justified in charging you more in interest. If you apply without excellent credit, credit issuers can make the excuse to make more money off you. Many credit card users also offer rewards programs. This is a way to entice you to spend more money with the help of your credit card. While the right credit card strategy, you can maximize your rewards, and come out ahead. However, some consumers use the rewards as a reason to buy things on credit — even if they can’t really afford what they’re buying. If you say, “It’s ok if I buy this; I get rewards!” and then proceed to carry a balance for the next eight months, you could easily obliterate the value of your rewards. And that’s what issuers hope. Consider: If you have a 1% cash back card, and put $1,000 on your card, you get $10 in rewards for that month. However, if you have 19.99% interest, and you carry a balance for a month, you end up paying more than $16 in interest. If you carry your balance longer, you don’t get another $10 in rewards, but you keep paying interest. The credit card issuer comes out ahead, even after paying your rewards. You’d think that the credit card issuer would want you to keep it within the limit. However, this just isn’t the case. Indeed, if you occasionally go over the limit it’s preferable. Because of the fees. That’s why credit card issuers will allow charges to go through — even if you don’t have anymore room on your card. That way, they can charge you a fee of $25 to $45 for each transaction over the limit. Plus, you pay interest on the fees charged. Not too shabby. Issuers won’t let you get too far over the limit, but they don’t mind if occasionally go over and pay the fees. Credit card issuers prefer consumers that can can afford to keep treading water. These are people who can continue to make payments, but never make a lot of ground up. While you might be a responsible credit card user, you aren’t an issuer’s dream customer. Pay late. Of course they give you a date in which you should pay by, but do you ever get reminded of that if you do not request it? No! The due date will come and go and before you know it your bill has increased by an excessive amount because you didn’t make your payment on time. Even if you make next months payment on time and forgot about the previous, will continue to happen and you’ll find yourself fighting with a collection agency because you missed one payment 3 years ago..stay on top of it because if you don’t remember they wont either! No wonder credit card companies do so well. Most people do all 5 of these things. Credit card companies provide an easy trap to follow in. Not to mention all the extra bonuses that come in the small print. What about 0% for 6 months blar blar blar, when as soon as you miss a payment or pay late, the 0% immediately stops and you get charged the mugs rate.